This exhibition is a relatively small, muscular yet poetic evocation of the life and work of one of my favourite Australian artists, Rosalie Gascoigne. Perhaps I have an affinity with this artist that goes beyond words: being English I have grown to love the Australian landscape but to see the way Gascoigne visions it is a truly moving experience. 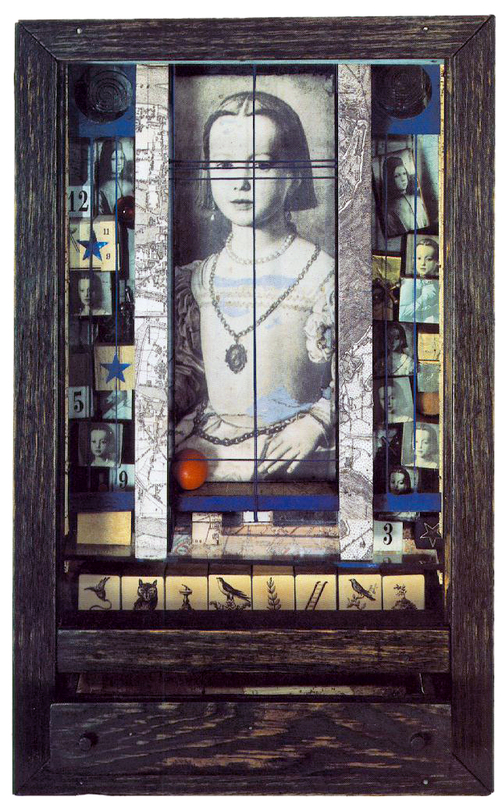 I have also admired artists that can successfully combine images and sculptural elements visually in their work, language and memory impinging on consciousness (hence my infatuation with the work of Joseph Cornell). As we enter the exhibition early constructions – wooden boxes – are presented dating from 1975-1984. These have a rough hewn, rustic charm to them, made as they are of weathered thick planks of wood. 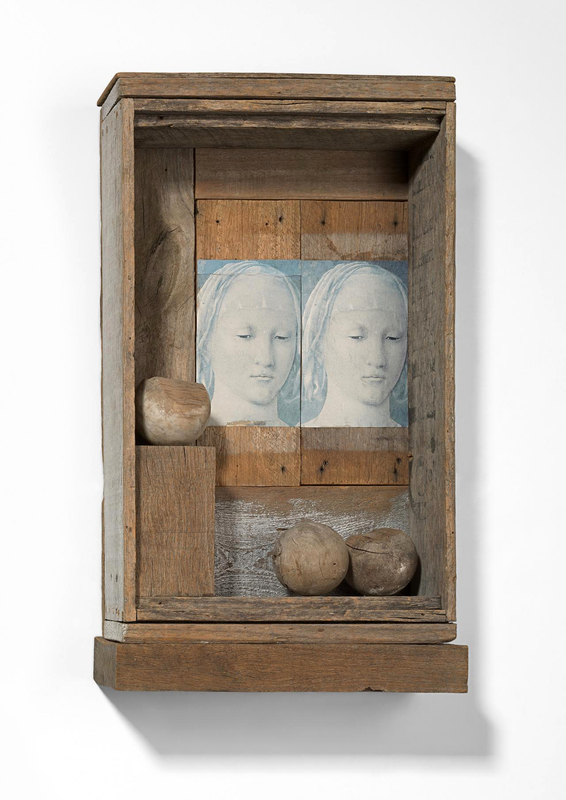 Less refined than the boxes of Joseph Cornell (see below) they nevertheless draw on the Australian vernacular in their use of objects. As with the Cornell boxes there is a strong element of childhood fun and games in these constructions. 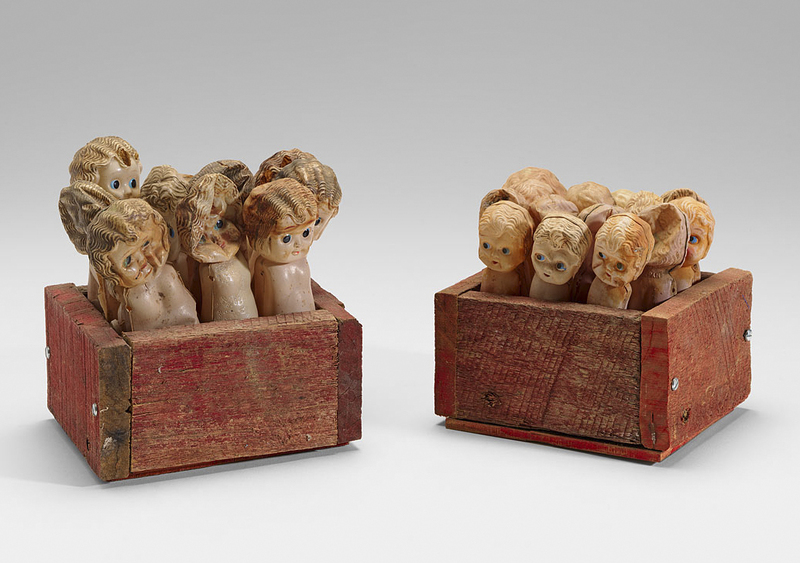 Dolly boxes (1976, below) for example contains innumerable plastic dollies of different sizes held inside wooden boxes; Black bird box (1976) is like a shooting gallery at a fun fair; other boxes feature birds and sea shells trapped in plastic bottles, printed images of moths, test tubes, candlesticks, metal teapots and children’s bicycle seats. Cloister (1977) below echoes the work of Joseph Cornell in it’s use of classical Renaissance imagery but with a rustic Australian charm. Unlike Cornell’s boxes which are enclosed dreamscapes that do not live in the world, Cascoigne’s boxes are made her own by being open and receptive to the landscape from which they merge, by being open to the world. Forty acre block (1977, above) is a play on the great Aussie dream of owning your own 1/4 acre block. 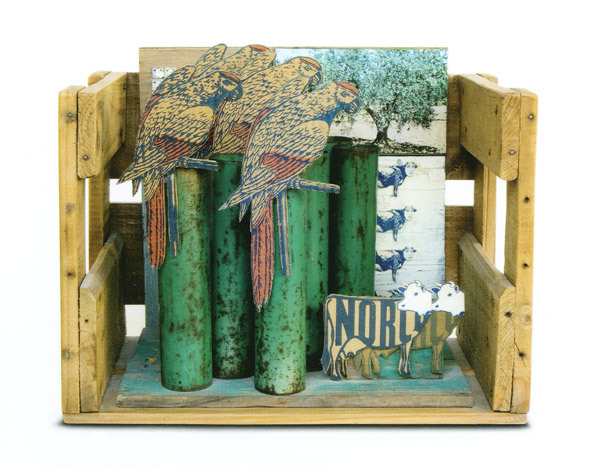 Inside the crate like tableaux we find cardboard parrots perched menacingly on rusted cylindrical metal tubes, two cardboard cut out cows with their white faces turned towards the viewer and at the rear of the box a sun-bleached picture of an orchard and three cows with human heads: a surreal vision of the Aussie landscape. 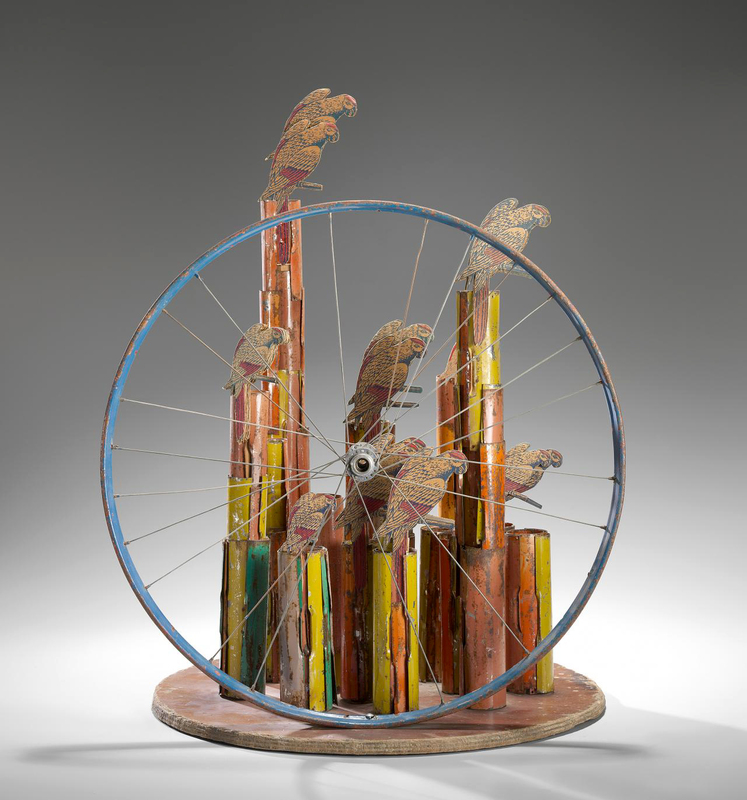 Continuing the playfulness Parrot morning (1976, below) extends the theme, the bicycle wheel almost having elements of Duchamp’s readymades but given an Australian twist with the perching parrots. Moving forward we find one of my favourite works, Feathered chairs (1978, below), a most beautiful evocation of technology and nature. Two red rusted 1950’s office chairs sit low on the floor, their seats, back and sides replaced by four rows of dark Commorant feathers held in place by wooden slats clamped together. Simple yet eloquent these surreal chairs have a poetic rhythm of place and space, speaking of the abandonment of technology and it’s re-habitation by a trapped but beautiful nature. Other work becomes simpler, more focused around this time (and especially from 1984 onwards) as though the artist was finding her singular voice, was confident of the ‘less is more’ rhythms of the music she was creating. The essence appears: of the land, artefacts and spaces. In Swell (1984) for example two convex forms of corrugated iron (one horizontal, one vertical) play off of each other, forming an opposing flow of energies like the swelling of the sea. Nothing else is needed. In Step through (1980, below) fragments of floral linoleum floor are mounted on wooden blocks at differing heights allowing the viewer to visually wander across the space of the installation as their mind wanders to memories of the floors of Australian kitchens of the 1950’s – either seen in childhood or in photographs – their is a recognition from all ages, in all Australians. This theme is further developed in the gridded Inland sea (1986, below) patches of corrugated iron float above the ground like gently moving waves. Beautiful in it’s simplicity the colours, shapes and spaces evocatively reflect the undulating rise and fall of the landscape from which the iron has been rescued, the breath of air on the wind rippling the water. The use of regularised block and grids start to appear in wall mounted vistas: of loopholes, of lovers, the metropolis and the fall, of beach houses and far views, of grasslands and medusas. Promised land (1986) offers a vision resplendent of a far away country – the promised land abstracted to Tarax, Dales, Cottee’s, Blue Bow home deliveries of a Sparkling Fruity Flavour! box ends, the 32 Fl. Oz weight weighing the vision of the Australian landscape in the balance. The most effective work uses the yellow colour of Schweppes boxes. 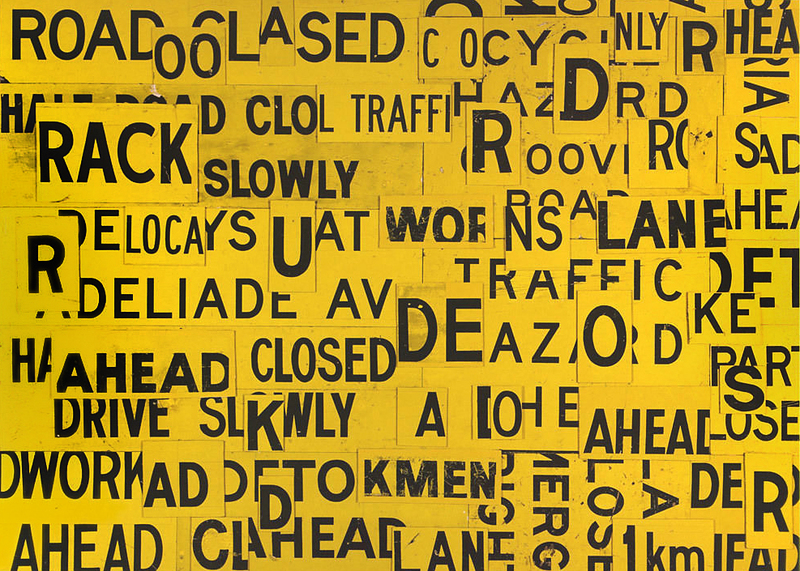 In Monaro (1989), one of my favourite works in the exhibition, the painted blocks of yellow wood with unreadable fragmented words on them become, from a distance, like the wafting waving dried grasses of the Monaro landscape around Gascoigne’s home. Liquid music of air and place. Graeme Sullivan, Seeing Australia – Views of artists and art writers, Piper Press, Annandale, New South Wales, 1994, p. 19. Summer swarm (1995) features small yellow blocks of wood an assemblage of yellow bees; Grassfest (1999, below) like a stand of yellow grass under the Australian sun; Metropolis (1999, below) collaged and patched road signs are worked together overlaying spaces and language. In Plenty (1986) yellow wood bricks mounted in panels are held in place with rusted metal nails. if you move close to the work the effect is immersive – every inflection of colour, grain of the wood, knot, nail hole, rub, scuff, daub of paint becomes evident. Every block is same but different, an almost transcendental experience. In this work there is a refining of the essence of her vision of the world, a paring back of all extraneous elements but conversely an expansion in the energy of the work. A mature artist at the peak of their power. In the ‘white’ work Star chart (1995) and Milky way (1995), heaven and earth reflect each other, the grids and patterns linked in a cosmic dance. But mostly air (1994-1995) the large installation that closes the exhibition confirms this dance, containing as it does white blocks of wood (invisible air) with a row of weathered wooden posts propped up against the gallery wall and animal spirits made of wooden blocks: faces with wings and ears, gasping for breath, white animals on a white background hovering between here and there, between heaven and earth. Many thankx to the NGV for allowing me to publish the photographs in the posting. Please click on the photographs for a larger version of the image. Rosalie Gascoigne is one of Australia’s most acclaimed and respected visual artists. Her distinctive style is characterised by her recognition of beauty in the most humble of objects such as soft drink crates, linoleum, retro-reflective road signs, dried grasses and feathers. Collecting and arranging these items, often rescued from rubbish dumps, and scarred and faded by the ravages of weather, is an integral part of her practice. Like a magician she transforms these discarded materials into sculptures, wall pieces and assemblages, which create evocative visual poetry, capturing the essence of things or an experience rather than conveying a literal representation. Gascoigne like Picasso realised later in life that one is not made an artist, one is born an artist. Some of her fondest memories as a child are of collecting shells on summer holidays at the beach, and the yellow china her grandmother owned. At the age of ten she won first prize for her entry in a table decoration competition that included yellow flowers, an unusual Indian brass vase and Indian brass bowls. Her journey to becoming a professional artist was highly unconventional. She received no formal art education, openly declared that she could neither draw nor paint and was not officially recognised as part of the Australian art scene until she held her first critically acclaimed exhibition at the age of fifty-seven. I’d push the children’s prams around that lonely mountain until I knew the shape of every stone and tree, the texture of every patch of dirt and grass, the colour of every leaf and weed. I’d gaze down at the valley below, a vastness of dry blond grass and grubby sheep and the sky used to hang, from there to there. ~ Janet Hawley ‘A late developer’, Sydney Morning Herald, Good Weekend, 15 November 1997, p. 40. She acclimatised to this new terrain and began to gather unusual natural forms. She displayed these found objects in her home, much to the bemusement of the conventional local community. Gascoigne began creating distinctive flower arrangements in the 1950s and won prizes for them in horticultural shows. When the family moved from Mount Stromlo to the Canberra suburb of Deakin in 1960, she studied ikebana, the Japanese art of flower arranging, under Norman Sparnon, a master of the Sogetsu School. Gascoigne appreciated the strict discipline of this form of arranging, which imposed a sense of order on her collected found objects. The emphasis on line, form and sculptural properties was to become a key part of her later practice. When Gascoigne’s three children had grown up, she had increasing freedom to pursue her growing interest in art. She visited art galleries more often, looked at art books and met people in the art world who were to shape her future career, including James Mollison, who became the inaugural director of the Australian National Gallery (now National Gallery of Australia). Her discussions with those in the arts community taught her much about looking and thinking about art, and confirmed her sense of identity as an artist. 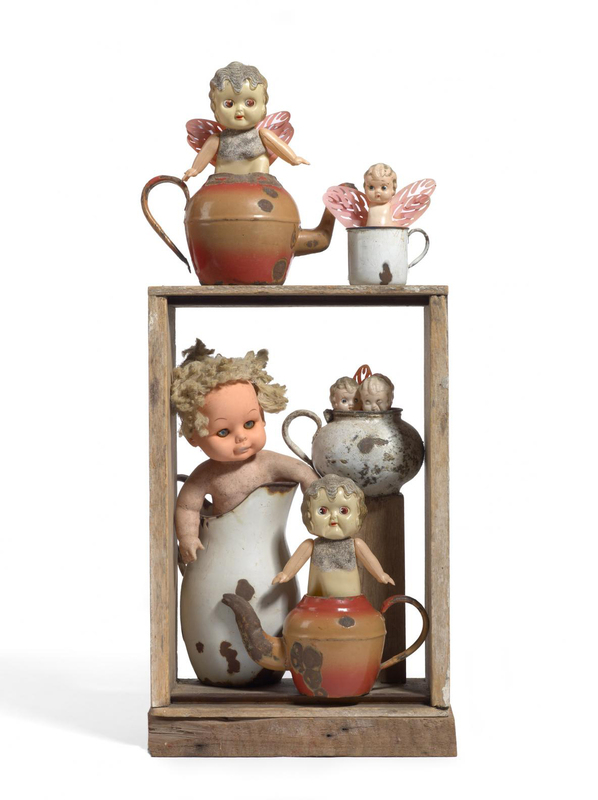 In the mid-1960s she began making assemblages of rusted iron, which were followed, from 1973, by assemblages in boxes. These miniature surreal and often humorous worlds, such as The colonel’s lady, 1976, employed rich patterning and repetition through the arrangement of man-made objects, including advertising symbols used on the packaging of products. The eclectic mix of objects and surfaces in these early works gave way to her later wall-based works that were elegant compositions limited to one or two materials, and subtly evoke culture, nature, language and the landscape, particularly the country around Canberra, which she came to love. Scrub country, 1982, and Monaro, 1989, epitomise these works. 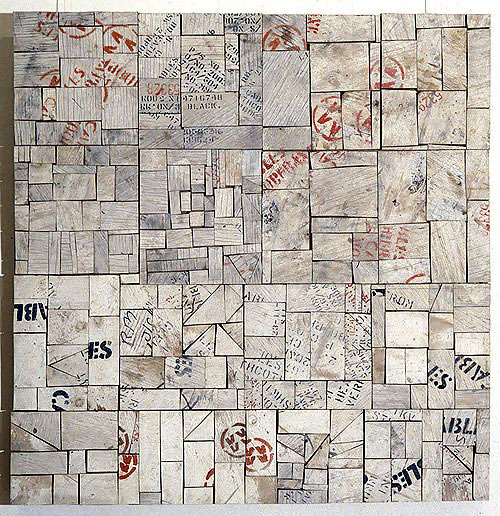 They are made from soft-drink crates – weathered by the sun, rain, wind and time – dismantled, sawn into strips and reassembled. Gascoigne reached meteoric heights in her career which spanned over two decades until her death in 1999 at the age of eighty-two. She was given a major survey show at the National Gallery of Victoria (NGV) in 1978, only four years after her first solo exhibition at Macquarie Galleries, Canberra. 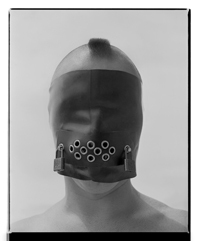 In 1982 she represented Australia with artist Peter Booth at the Venice Biennale. Her work is included in major public, corporate and private collections. 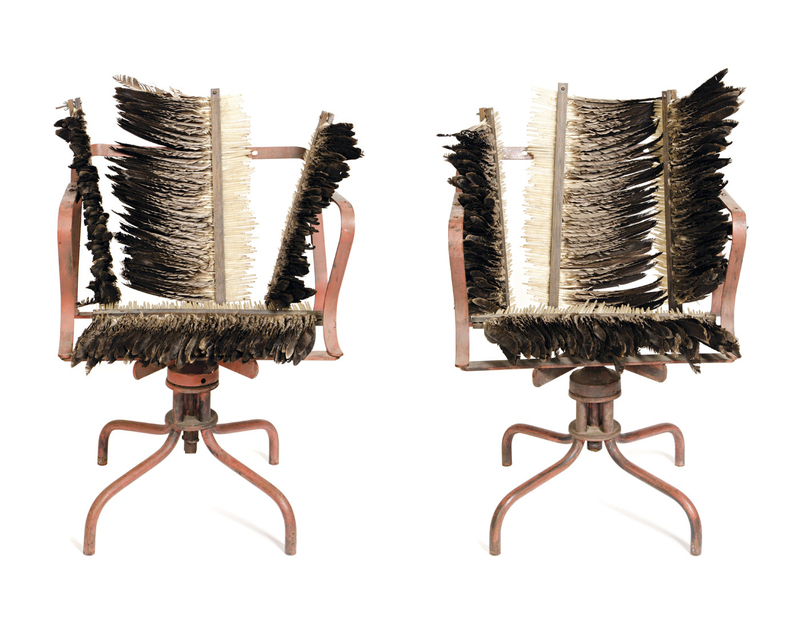 Despite their unusual appearance, this set of feathered chairs is not a departure from Rosalie Gascoigne’s usual practice. This work does not record, despite the reference to furniture in the title, a move to decorative arts – this feathered pair were never intended to function as seating – they are sculptures, conceived to fascinate the eye rather than conform to anyone’s behind. Gascoigne collected the feathers for the chairs on the shores of Lake George, located about 35 kilometres from Canberra, on the road to Sydney. The feathers were assembled in racks similar to those used in Gasgoigne’s Feathered Fence 1979 (NGA Collection, Canberra) which used swan feathers also found at Lake George. Racks of feathers were displayed on two reddish metal chairs that she had found at the dump. Gascoigne aimed to create poetic, rather than literal interpretations of her work, aiming for a succinct ‘plastic metaphor’, where a melding of disparate objects and textures might produce unexpected allusions and tangential meanings. Nonetheless, the claw foot of the chair suggests the foot of a bird and the splayed feathers conjure up the pose of a cormorant with its spread wings drying off in the sun. Or did the sun-basking bird with its arm rest wings suggest a throne? Gascoigne was not an artist to routinely create figurative works and it’s just as likely that in this work she sought a tension between the earthbound weight of the metal and the airy, windborne feathers. She had a longtime fascination with birds and the Feathered Chairs suggest an evocation of flight and freedom; a joyous ability to see and read the story of our ancient land. Elated by exploration and discovery, Gascoigne willingly shares her delight with the armchair traveller. After first exhibiting her work at the age of 57, Rosalie Gascoigne rapidly established a reputation as one of Australia’s foremost contemporary artists. Following her first exhibition in 1974, Gascoigne subsequently developed an impressive exhibition history that included her being honoured, in 1982, as the first female artist to represent Australia at the Venice Biennale. This major exhibition of Rosalie Gascoigne’s work ranges from the boxlike assemblages of her early career through to large scale installations and her creation of master works constructed from Schweppes soft drink crates and retro-reflective road signs. The exhibition investigates the artist’s ability to draw creative inspiration from the discarded; her intrinsic response to her chosen materials, and her unique ability to evocatively convey the essence of nature and the transitory and captivating effects of light, air and space. Rosalie Gascoigne is the first major retrospective exhibition of Gascoigne’s work to be seen in Melbourne and is accompanied by a comprehensive exhibition catalogue. 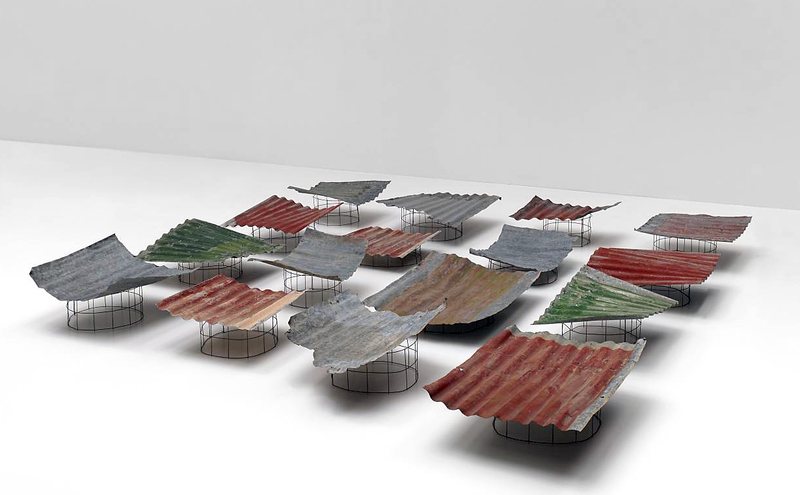 In Inland sea, 1986 (below), sixteen large sheets of corrugated tin hover above the floor in a loose grid arrangement. The grid format unifies the separate parts of the composition, and also enhances the expressive power of different visual elements through repetition. The shapes and lines repeated across the buckling sheets of tin create a powerful sense of the gentle movement of wind or water. 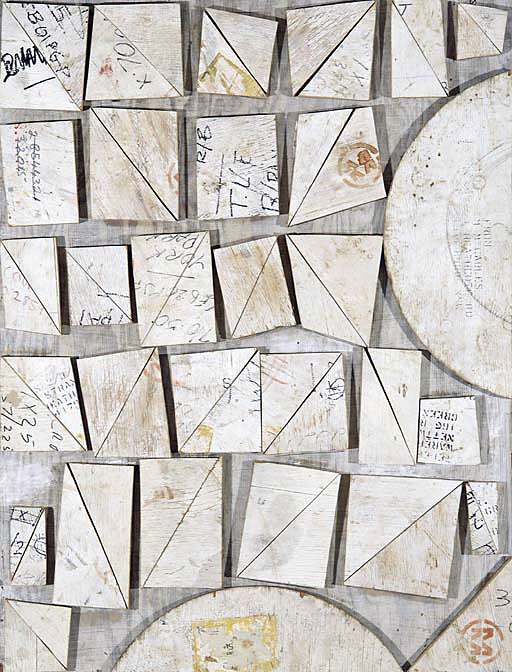 The strong visual rhythms and movement evident in Gascoigne’s compositions are often achieved through the repetition of different visual elements. 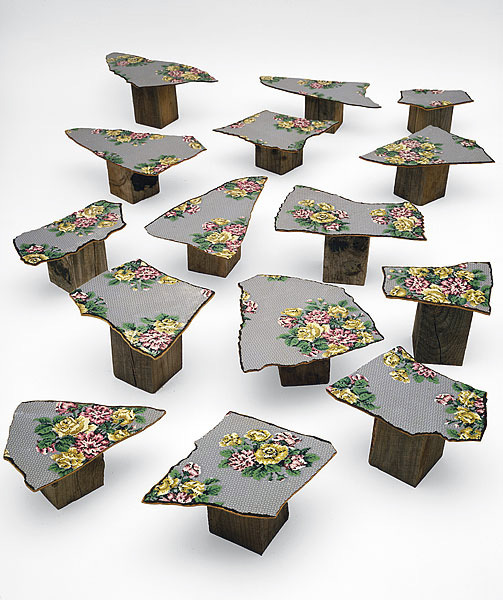 Step through, 1980 (above), is made from fifteen separate parts, each made from a torn piece of brightly coloured, floral patterned linoleum mounted on a block of wood. The blocks sit at different angles creating different levels within the installation. The spaces between the different parts create a meandering path for the viewer to explore, highlighting the importance of movement through and across space in Gascoigne’s work. Colour assumed a vital presence in Gascoigne’s work. 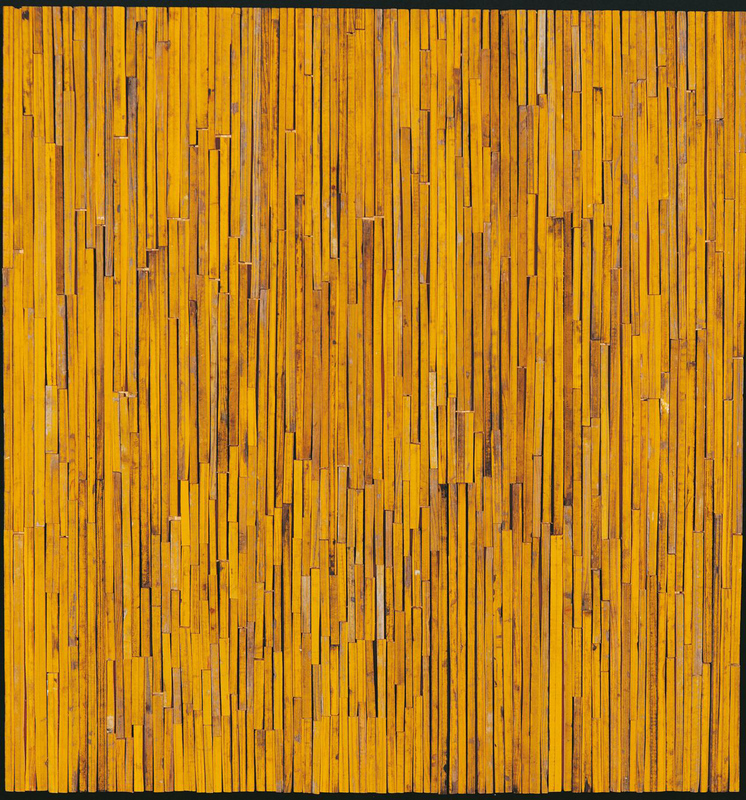 In an overview of her work, as in the exhibition Rosalie Gascoigne (2008), the importance of particular colours is revealed in swathes and groupings of yellow, red, orange and white artworks, culminating in the grey, brown and ochre hues of the Earth series (1999), which were the artist’s last works. Individually, each work reveals something of the beauty of colour and its ability to suggest meaning; from sun-baked, muted yellows that remind us of vistas of dry grass, to soft pale greys and whites that murmur quietly of the open air and cloud. Gascoigne was often drawn to particular materials because of the beauty of their colour and texture, and the associations or moods these suggested. The visual qualities and associations found in the textures of humble and/or discarded materials are clearly revealed in Gascoigne’s work – from the flaky layers of faded paint on weathered tin or wood that speak of both rural life and work, and the forces and seasons of nature, to the staccato flash of retro-reflective road signs that remind us of driving through the landscape. 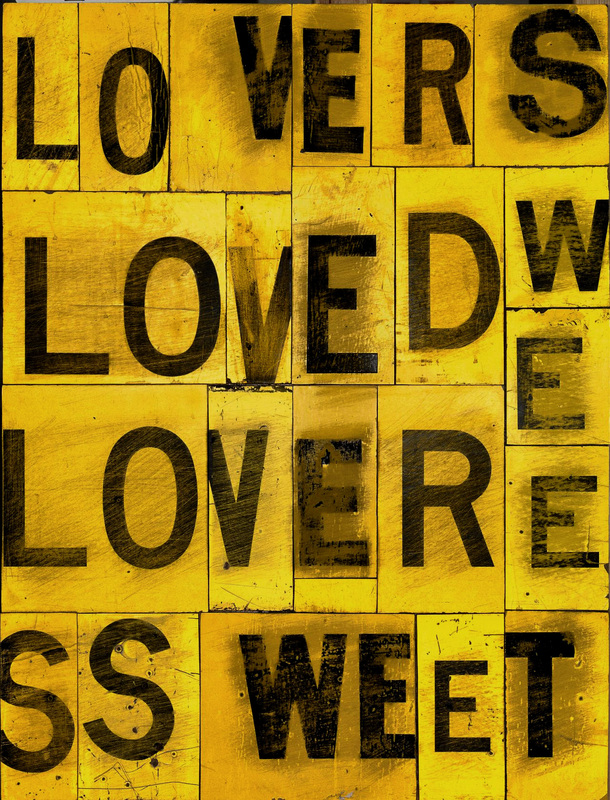 Rosalie Gascoigne’s work is often referred to as visual poetry. Her training in literature and fascination for words infuse her work. She had a particular love of poetry. This included the modern Australian poets such as Peter Porter and David Campbell, who also evoked in his writing the landscape around Canberra. Just as a poet distils the essence of their subject with carefully chosen evocative words and phrases, so Gascoigne captures the spirit of a place, or the core of an idea with sensitive arrangements of visual elements. Instead of literary allusions, Gascoigne creates visual metaphors with materials such as corrugated iron in Inland sea, 1986, which evokes movement of air, while slivers of discarded, weathered timber in Monaro, 1989 suggest dried grassland. Repetition, ordering, fragmenting and editing out unnecessary materials are also part of her practice which echo the creation of poetry. Other works studded with random words are more elusive and hark back to the poetry of Andre Bréton and the Surrealists, who scattered and re-arranged words cut from a newspaper. Gascoigne frequently described her works as ‘stammering concrete poetry’ (Gregory O’Brien, 2004, p. 42), a reference to a style of poetry originating in the 1950s where the visual arrangement of words or letters suggests something about the subject of the poem. In All that jazz, 1989, for example, the artist has conjured up the pulsating chopped up rhythms of jazz with wooden strips of dazzling colour highlighted by splinters of black lettering. In contrast, the broken and fractured nature of the yellow and black road signs in Skylight, 1993, interspersed with ill-fitting patches of well-worn linoleum, sets up a tension that hints at both the tragedy of drought and the beauty of the Australian light in summer. The evocative titles of Gascoigne’s works, which are selected after their completion and only after much contemplation, are chosen to be allusive and poetic rather than descriptive. They reveal an entry point but allow the viewer to experience their own intuitive response to the work. Gascoigne’s knowledge and love of language and of Romantic poetry is evident in many of her works as she aspired to make art that achieved ‘allusive and illusive’ qualities that she experienced in this form. Through the artist’s skill in making poetry of the commonplace and her intrinsic response to both her chosen materials and the particularities of the Australian landscape, we are able to witness her unique ability to evocatively capture and convey the essence of nature and the transitory and captivating effects of light, air and space. 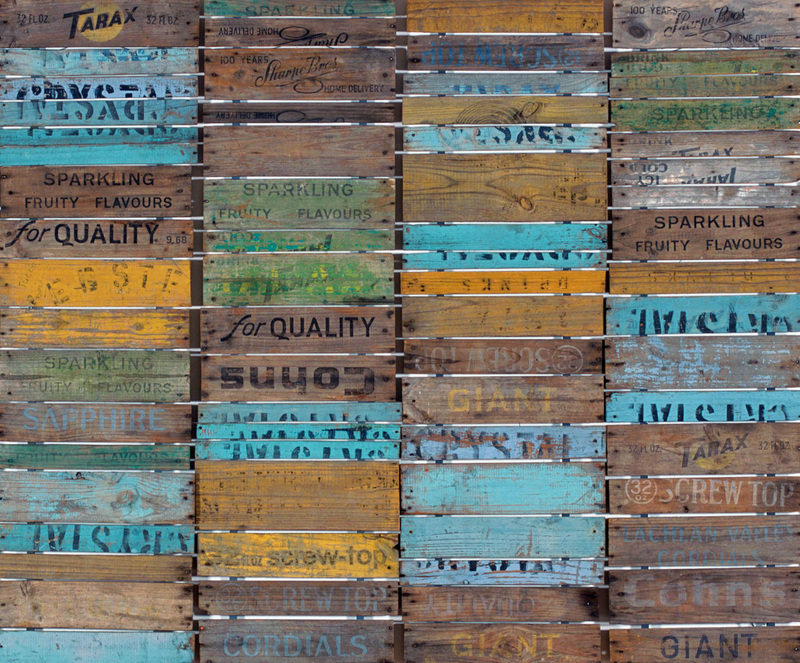 In Scrub country, 1982 wooden slats from old soft-drink crates are arranged methodically in rows and columns, but their faded colours, worn surfaces and uneven edges reveal the impact of prolonged use and many hot summers. The medley of faded yellows and greens, and nearly naked wooden surfaces in Scrub country is punctuated by flashes of turquoise blues, evoking the patterns of dappled light and colour often found in the Australian bush. While a palette of ‘blue and gold’ colours was strongly associated with the paintings of the famous Australian landscape painter Arthur Streeton (1867-1943), Scrub country clearly breaks with the landscape conventions associated with Streeton and his generation. The repetition and ordering of elements in distinct rows and columns creates a strong formal structure and a flattened space that avoids literal landscape references. Sensations and moods more associated with memory and experience of the landscape are emphasised. Gascoigne’s focus on the formal qualities suggests some affinity between her landscape inspired artworks and those of her contemporary, Australian artist Fred Williams (1927-1982), who also broke with convention in representing the landscape. Gascoigne worked intuitively with no preliminary drawings or plans. Her ideas, and the processes used to make each artwork, were inspired and determined by the look and feel of particular materials, and the visual and emotional associations they suggested. Depending on the materials used, many hundreds of hours would be spent on the labour intensive work of cutting, tearing, bending, scrubbing, sorting, grouping, arranging until the ‘right’ idea and visual effect crystallised. The process of transforming found materials into artworks was one of making the mood, experience and sensation of landscape visible.